Reb Anderson, Tenshin Roshi, was born in Mississippi, grew up in Minnesota, and left advanced study in mathematics and Western psychology to come to Zen Center in 1967. He practiced with Suzuki Roshi, who ordained him as a priest in 1970 and gave him the name Tenshin Zenki ("Naturally Real, The Whole Works"). He received dharma transmission in 1983 and served as abbot of San Francisco Zen Center's three training centers (City Center, Green Gulch Farm, and Tassajara Zen Mountain Center) from 1986 to 1995. 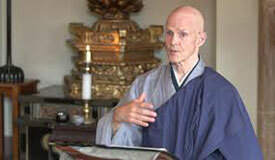 Tenshin Reb Anderson continues to teach at Zen Center, living with his family at Green Gulch Farm. He is author of Warm Smiles from Cold Mountains: Dharma Talks on Zen Meditation and Being Upright: Zen Meditation and the Bodhisattva Precepts. Published in 2012: The Third Turning of the Wheel: Wisdom of the Samdhinirmocana Sutra, a guidebook to the workings of consciousness and compassionate awakening. 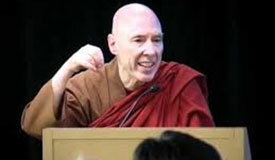 Bhikkhu Bodhi, Ph.D., is an American Buddhist monk, originally from New York City. In late 1972, he traveled to Sri Lanka, where he received monastic ordination. He lived for altogether twenty-four years in Asia, primarily in Sri Lanka. He was appointed the second president of the Buddhist Publication Society and has edited and authored several publications grounded in the Theravada Buddhist tradition. In particular, he has translated numerous texts from the Pali Canon into English, among them the Samyutta Nikaya (Connected Discourses of the Buddha) and the Majjhima Nikaya (Middle Length Discourses of the Buddha). In 2008, he helped to establish Buddhist Global Relief, an organization dedicated to providing poverty relief to people in developing countries. He resides at Chuang Yen Monastery in upstate New York. 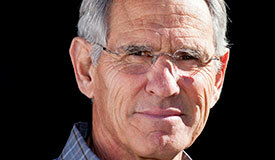 Jon Kabat-Zinn, Ph.D., is Professor of Medicine Emeritus and founder of Mindfulness-Based Stress Reduction (MBSR), and of the Stress Reduction Clinic, and the Center for Mindfulness in Medicine, Health Care, and Society at the University of Massachusetts Medical School. He teaches mindfulness and MBSR in various venues around the world. 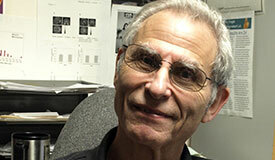 He received his PhD in molecular biology from MIT in 1971. He is the author of numerous scientific papers on the clinical applications of mindfulness in medicine and health care, and of a number of books for the lay public, published in over forty languages. They include: Full Catastrophe Living: Using the Wisdom of Your Body and Mind to Face Stress, Pain and Illness (1990; second edition 2013); Wherever You Go, There You Are: Mindfulness Meditation in Everyday Life (1994, 2004); Coming to Our Senses: Healing Ourselves and the World Through Mindfulness, (2005); Mindfulness for Beginners (2012); and with Mark Williams, co-editor of Mindfulness: Diverse Perspectives on its Meaning, Origins, and Applications (2013). He is the author of numerous scientific papers on the clinical applications of mindfulness in medicine and health care. Dr. Kabat-Zinn is the founding convener of the Consortium of Academic Health Centers for Integrative Medicine (CAHCIM), and serves on the Board of the Mind and Life Institute, a group that organizes dialogues between the Dalai Lama and Western scientists to promote deeper understanding of different ways of knowing and probing the nature of mind, emotions, and reality. Michael Posner, Ph.D., is currently Professor Emeritus at the University of Oregon and Adjunct Prof. of Psychology in Psychiatry at the Weill Medical College of Cornell, where he served as founding director of the Sackler Institute. Posner is well known for his work with Marcus Raichle on imaging the human brain during cognitive tasks. A volume Images of Mind resulted from that collaboration. He has worked on the anatomy, circuitry, development and genetics of three attentional networks underlying maintaining alertness, orienting to sensory events and voluntary control of thoughts and ideas. His methods for measuring these networks have been applied to a wide range of neurological, psychiatric and developmental disorders. He edited Cognitive Neuroscience of Attention describing this work. His current research involves training of attention in young children and in adults using a mindfulness method to understand the interaction of specific experience and genes in shaping attention. Books describing this work are Educating the Human Brain with M.K. Rothbart and Attention in the Social World. He is currently testing ideas about how meditation changes brain connectivity. His work has been recognized by numerous awards including 7 honorary degrees, election to the National Academy of Sciences of the USA, and in 2008 by the National Medal of Science.